Gone are the days when you had to get in touch with a geek / expert programmer to develop a website for you. Thanks to technology, creating a website and going live is a matter of few clicks. Moreover the newer platforms make it much more each for anyone with basic computer skills. And with that, we see more and more people taking up Blogging – either as a Hobby or a full-time job. Trust me it’s great to see so many budding bloggers and future authors coming up and sharing their wonderful experiences. Platforms like Blogger and WordPress have ensured that apart from typing, everything else is just drag and drop. That has helped technically challenged folks to take up blogging. 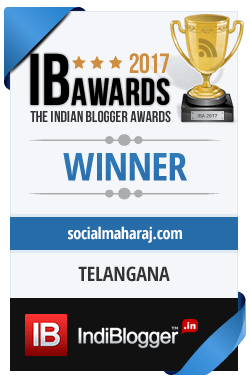 Socialmaharaj runs on WordPress – it’s my preferred Blogging Platform. However, you will surely find people who are in favour of Blogger. So which one is the best ? Blogger or WordPress ? Let me know your thoughts in the comments below. With so many people on board, these platforms are constantly updated with new features, updates and security patches. This ensures that everyone – humans and bots (Google, Bing etc) – loves your website. WordPress being an open source Content Management System sees a lot of changes being pushed. And one such major change that I feel is going to make blogging fun is the introduction of Gutenberg. Gutenberg is the new generation, feature loaded editor for WordPress. So how is it going to affect you ? It is any good ? Should you switch to Gutenberg ? All this and much more in this post, keep reading ! WordPress has been toying with the classic editor for quite some time now. Remember the ‘justify‘ option being moved out of the editing pane. Those were some of the minor changes, however Gutenberg is a major change. The new WordPress editor is clean, clutter free and modern. The initial feel of Gutenberg reminded me of the editor I saw on Medium. (Did you notice this too ?) But found many new features as I digged in. And I feel these changes are going to make writing a post a lot easier. Apart from the fresh and clean editor, there are a lot of additional features added. Even though the pane is gone, the features are all there, just that they are hidden. Which means you get ample space for distraction free writing. Gutenberg does away with the old tools pane and instead introduces blocks. Blocks are a new feature addition to WordPress instead of the TinyMCE toolbar. There’s an insert button that allows you to add different blocks to the post. It can be the traditional text block, image block, video etc. And if you think, every time hitting the Insert button is tedious, WordPress has another option. It provides an autocomplete option by just using / (Looks familiar right ? Slack ?) So that makes writing even more quick and seamless. Creating tables in WordPress is time taking if you go the HTML way. Else you use a plugin to simplify things. Do you use plugins to create tables in your post ? I’m sure there are many who do. But with Gutenberg, creating tables have become easier than ever. The new WordPress Editor provides quick and easy way to create tables.The table block will allow you to add simple tables. This is a handy feature if you use a lot of numbers, statistics in your articles. Adding a button to your post was always a difficult task. One had to either code the button in HTML view or use a third-party plugin that allowed you to have buttons in your post. Gutenberg now allows you to add simple buttons to your posts. That’s a great asset for any digital marketer as they can now have Call to Actions linked to this button. This will not only help them get more readership for their blog/site, but will also help them generate leads & make sales. See how a simple feature addition can make such a huge difference ? Even with a whole bunch of new features in Gutenberg, there will be few things that the editor might not allow. For instance modifying a link to be nofollow means switching to HTML view. Or adding a badge of some sort on your post often meant adding the same in the HTML view. But with Gutenberg, there is a Live HTML block that allows you to quickly see the preview of whatever you’ve coded. Since this is on the fly, you don’t have to switch back and forth to see the changes made. Another handy feature for anyone who uses HTML codes a lot. WordPress Gutenberg Editor – Yay or Nay ? An informative post and easy to understand. I’m going to look deeper into Word Press Gutenberg after reading this. Thanks for the share! Yes it is, refreshing 🙂 Thanks.